Step Up Your Martini Game. Christmas present. Thanks Sis! I had this gem on my Amazon wishlist for quite awhile and she finally obliged me. 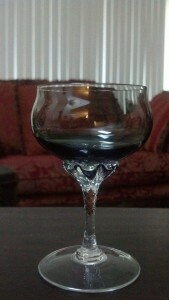 I already switched out the “modern” (bird bath sized) martini glasses for a pair of smaller vintage ones. 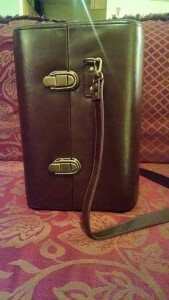 I know what you’re thinking: Isn’t this a bit superfluous? 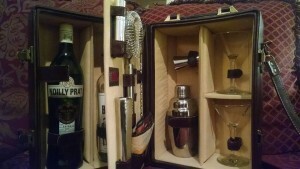 Do you really need a dedicated cocktail case? 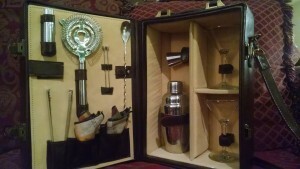 First, I want you to envision yourself: Cocktail Aficionado, esteemed by friends and family alike. Will they invite you to their parties? Will they expect you to dazzle them with a recipe or three? Of course they will. 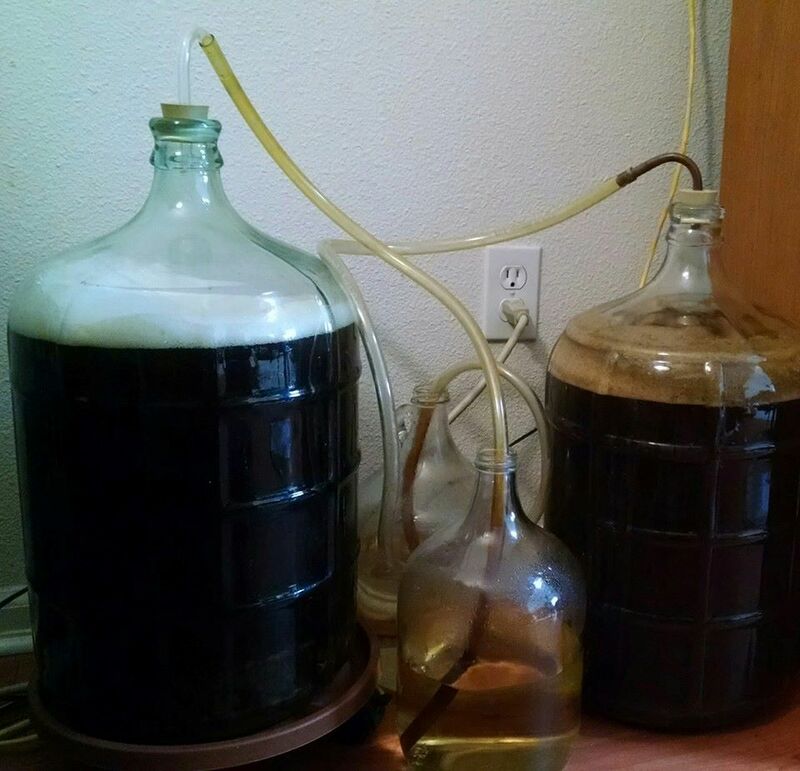 Now, I want you to imagine yourself pulling an open cardboard box out of the trunk of your car and huffing up the walkway to your host’s house, bottles and glasses clinking, as you hope there’s no cat or dog underfoot to send you diving face-first into a mess of glass and wasted vermouth. Seems a bit more appealing now, doesn’t it? I bet. Or, if that scenario doesn’t suit, just imagine the next family Thanksgiving, with those one or two intolerable relatives talking nonstop, and nothing on the table but sparkling cider. You’re welcome. This was snapped 45 mins after the first pic. 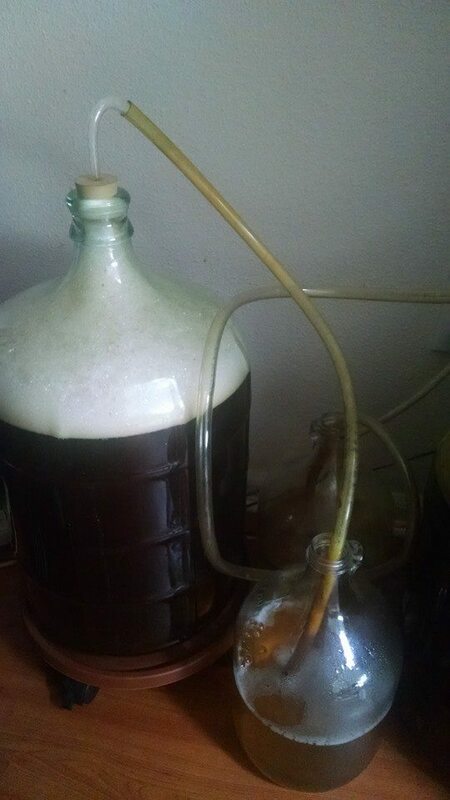 That’s how fast the krausen rises the first day. 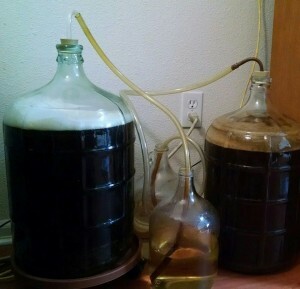 I’ve waited too long before after yeast dropping (7-8 hours) and discovered beer sputtering up out the standard airlocks. Happens with strong wine, too. Well, golly! 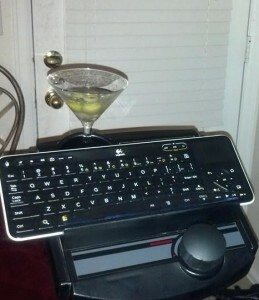 The elliptical cup holder perfectly fits a martini! Was I supposed to be looking at the display on this thing? 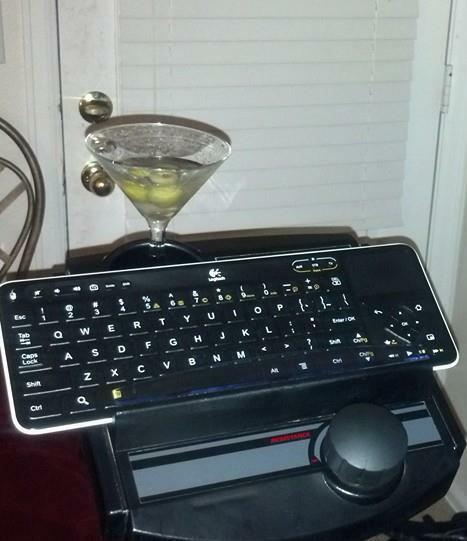 Because that’s where my android TV keyboard goes. Those TV shows won’t watch themselves. 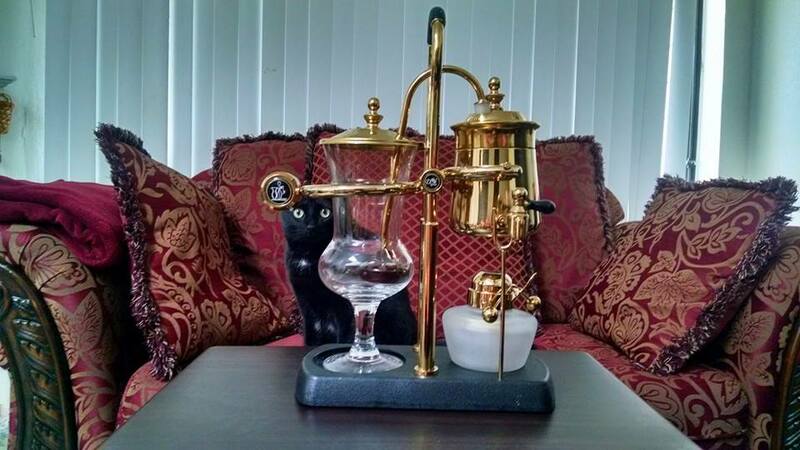 I believe this whole setup is called “You’re doing it wrong.” Or right. I’m not sure. For Every Man, a Martini Table. 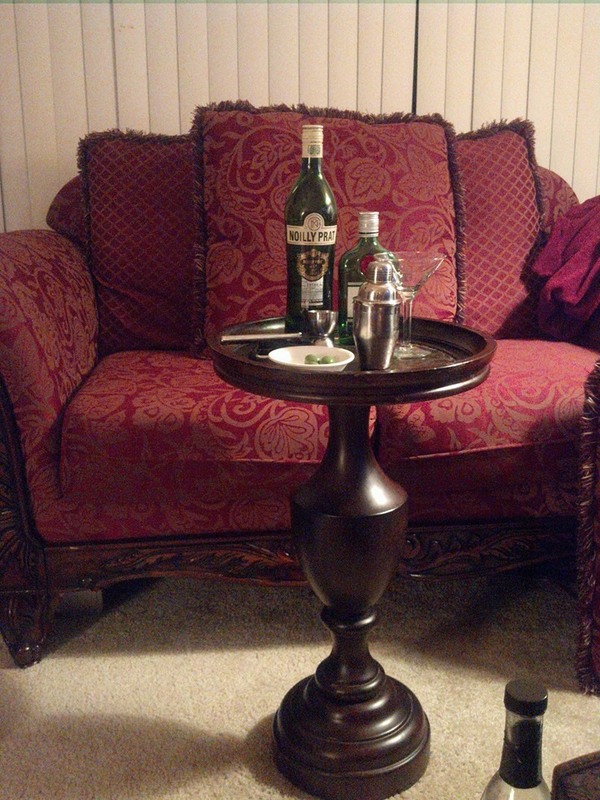 I’ve achieved my lifetime dream of a martini-making table for $8. 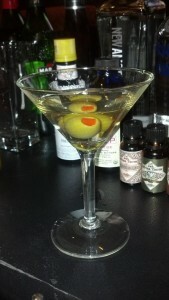 My martini experience is now complete. 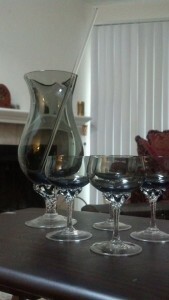 My new Japanese champagne coupe glasses and old-school matching mixer pitcher just arrived, killing my bad mood. They’re a little smaller than my Stork Club reproductions, but exquisite.